Just bought a new car and you would love to maintain its new look longer? Do you want the new land rover range rover velar you just bought look new even after using it for many years? I will give you some tips on how to keep your car always looking new for long. A well maintained car not only looks attractive to you but also to other people. Many people are obsessed with the look of their cars and will want them looking so good. There are some things that you need to do as a car owner in order for it to look attractive and look new. Here are the basics that you should consider to achieve an amazing look in a car. Birds can be so annoying whenever you park your vehicle even far from a tree a bird will just find its way and leave deposits on your car paintwork. No matter how soon you wash your car a bird will make your car dirty. It is therefore important to wash your car as soon as you realize that a bird has peed on your car. The droppings of a bird have an acid that is corrosive to your car paint and it is, therefore, important to wash it immediately. A dealer might be giving you so much pressure to but paint protection products for your car. These products are expensive and can be making the dealer a lot of profit while taking you to losses. Therefore it is important that you do some market pricing and know their prices as well as know what is available in the market. Ask around and get more quotes before agreeing with ay dealer to treat your car. Usually, if you do not plan to have your car washed regularly then it is important to spend a worth on your car protection products. Therefore make sure that your car is shining all along after using the best and quality protection products and checking from different dealers so as to identify the best. 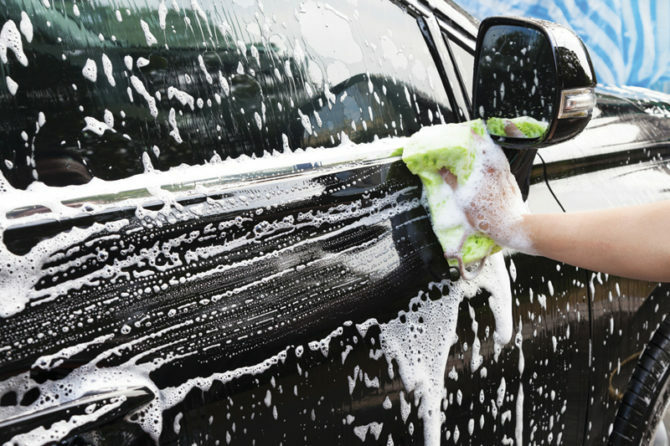 Commercial car washes are the most convenient but on the other hand, they can easily damage your car. This can be caused by the detergents used in washing the car as well as how clean the water is. If they use brushes that come into contact with your car surface then it is good to avoid them. You might find out that the detergents used can get corrosive to your car and also the brushes are not too clean or are too harsh and cause scratches to your car. It is generally hard to find a good parking space for your vehicle. In any case do not be tempted to park your car near a busy freeway, heavy industrial area or even near a railway, line. The cars that are dark in color are vulnerable to swirl marks like the new land range rover velar, while those that are a bit light in paint are easily affected by dust and other debris from above. A car might appear to have flecks of rust which is actually microscopic and are metal pieces and other polluting agents in the atmosphere mainly from the car and train brakes. The debris can be washed off but they will need a clay bar or even some acid to wash them off. Therefore this kind of debris is a danger to the paint of your car. Wax is a protective coating for your car and it sometimes breaks down. Wax needs to be applied each year before winter and also just before summer. It is good to apply quality wax and also use it under the shade as you take your time to have it all over your car. If you need your car to look good then follow the waxing system promptly and there you will have a shining car surface. This will make it easy when you are selling your car privately as you will have a smart car. In any case, you desire and want to have a good and shining car so that it looks new even when it is old the above are to be taken into consideration. Each and every driver knows the basics of keeping a car well like waxing and washing to keep the cars paint well maintained. There is plenty more as shown above that can keep your vehicle look as if it is brand new. 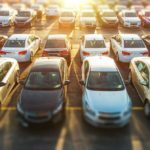 Park your car in appropriate places where your car is free of debris from up as well as other things like industrial waste. It is also important to make sure you check on the issue of detergents and brushes used and also the water that you use to clean your vehicle. When you follow all the above then you will have a smart car that will be admired and attractive to everyone who comes across it.